A very pretty small miniature with sharp glassy crystals. Micros of Goyazite as well as gemmy rhombs of Magnesite complete the specimen. In fine condition, this find at Brumado has produced some fantastic examples of this tourmaline family member. Good value. A very cute, esthetic, sharp and undamaged Ferberite on quartz. 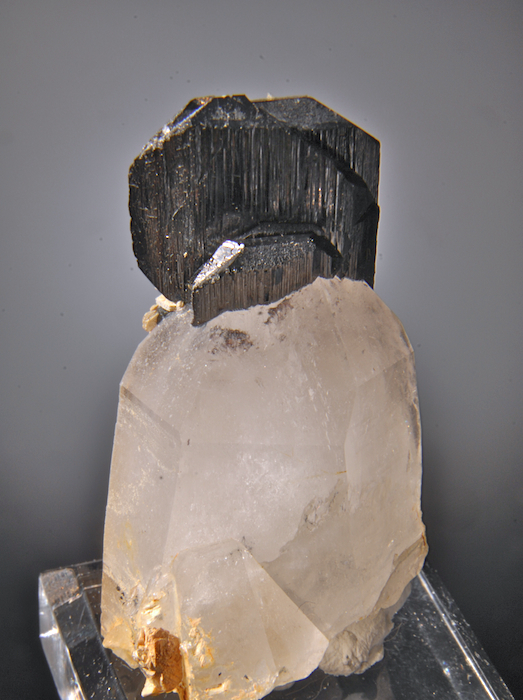 From the display side the ferberite crystals are growing out of the termination of a quartz prism. An older piece originally sold by the Rocksmiths in the first wave of Chinese discoveries. Fine luster and architecture that is also affordable, and show why Yaoganxian has become a world class supplier of good sulfide minerals. Glassy, gemmy pale aqua crystal with classic flattend form from the great finds at Xuebaoding. A nice clean example that is affordable and esthetic. These were plentiful just a few years ago but are now much less common and more expensive when available. Good value. 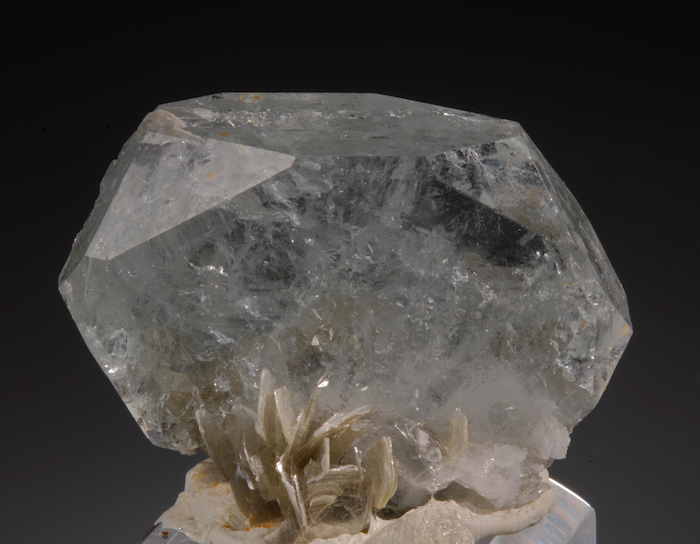 From the William Pinch collection, a fine, undamaged and attractive Barite from the now classic finds at Huanzala. 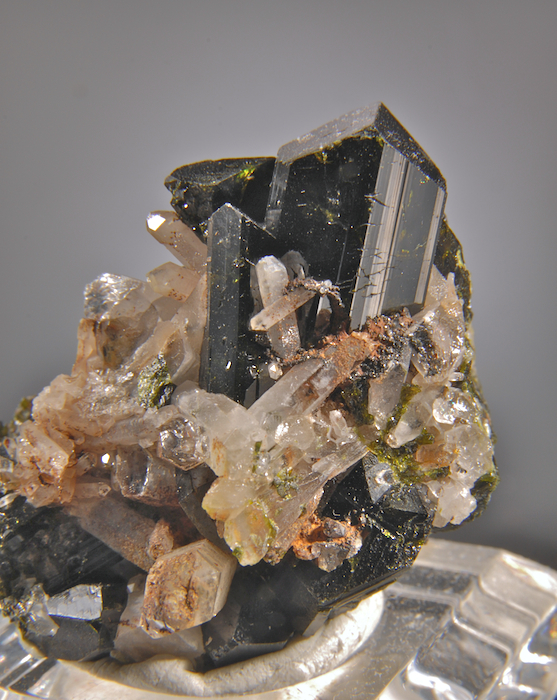 Dozens of delicate glassy Barites to 2 CM across densely cover the sulfide matrix. 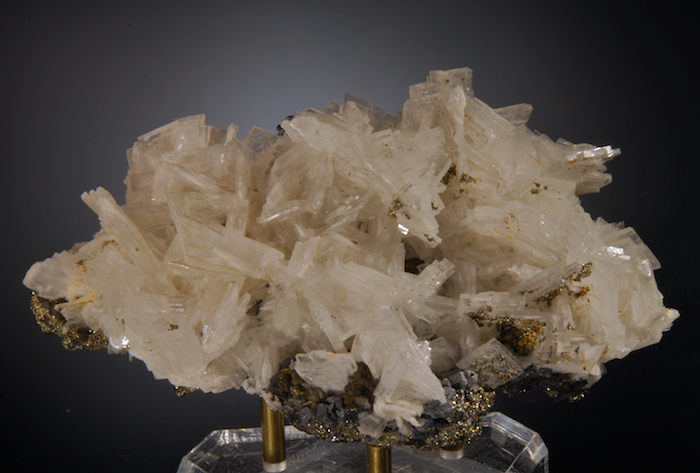 No damage, several of the Barite blades are dusted with sparkling pyrites. A choice specimen that is also affordable. 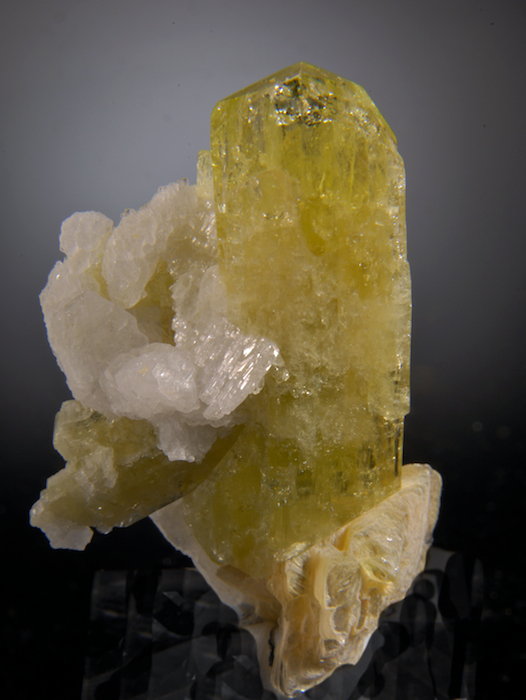 A fine, undamaged and esthetic specimen featuring a 4.2 CM gem crystal of glasslike yellow-green Brazilianite. 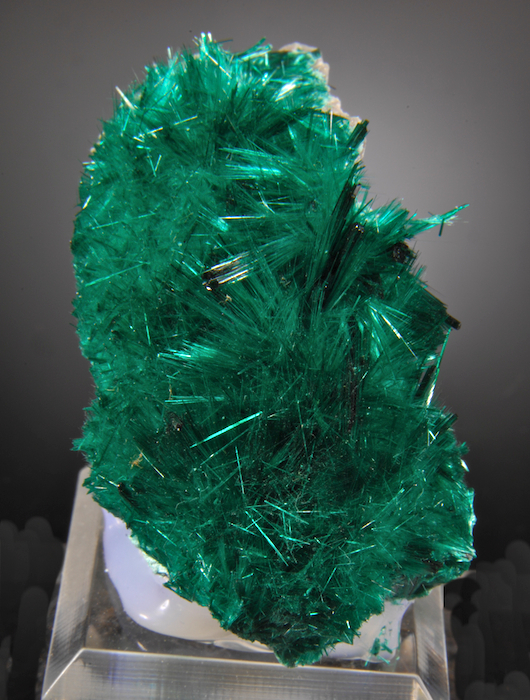 Aside from simply enjoying a beautiful mineral, this is a good time for collectors to obtain a fine Brazilianite. Before the recent finds at Linopolis, these were very rare, expensive and highly sought after. They will certainly become rare again, and above average specimens will appreciate well. 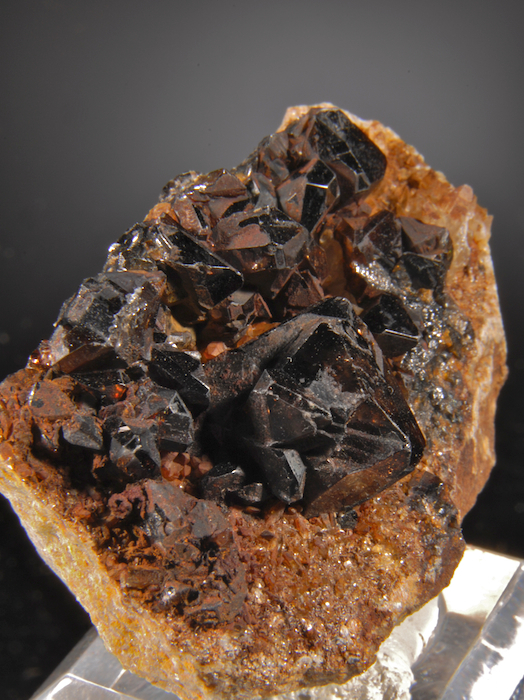 Glass like gemmy Cassiterites up to 1.8 CM set on a contrasting matrix. It has become hard to find good Ximeng Cassiterites, they are distinctive and desirable, with higher luster than most any other locations. This is a good example that really shines in good light. 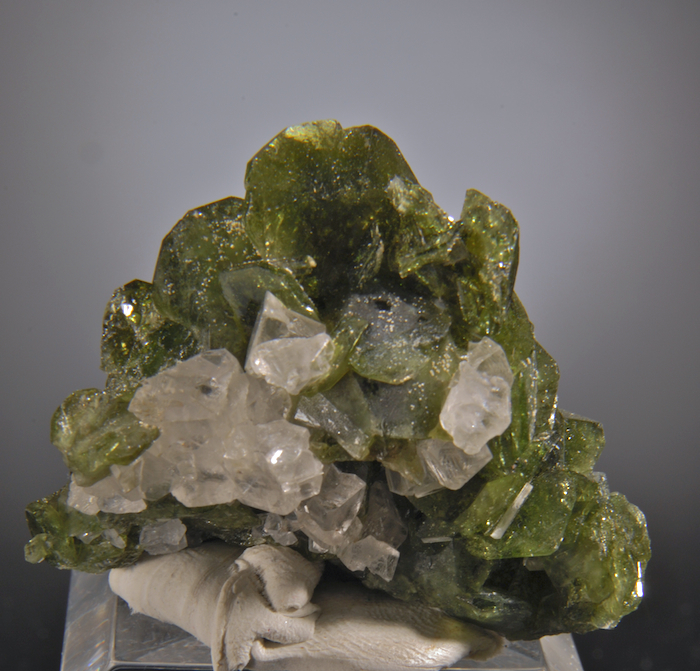 An extraordinary, delicate, electric green brochantite from what may be the best discovery ever of the species. In person the color is an intense emerald green deeper than can be rendered on most computer monitors. Perfect condition, strong esthetics and intense color make this piece stand out in any display. There have been only a few small pockets of Brochantite over the past few years at Milpillas which is far better known for incredible azurites. There have been very few fine specimens in these finds, and none recently. Without a doubt these will be regarded as some of the best of the specie ever seen, and are a fine affordable investment. This specimen can be shipped with special arrangements but it is far safer to deliver in person at a major show or by other arrangement.